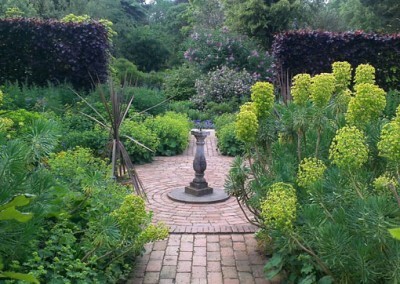 I’m often asked asked where is my favourite place – this is it. 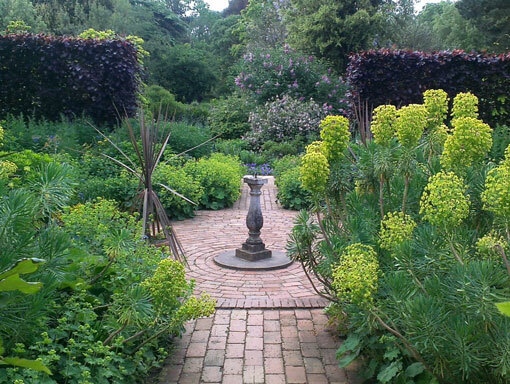 Hidcote Manor is for me the perfect English garden, created by an American who chose England as his home. 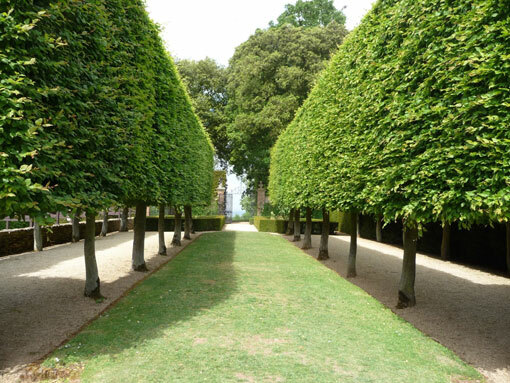 It is often described as being constructed of “garden rooms”, which sums up perfectly the many different areas, often enclosed by hedges, that form individually designed gardens, with their own colours, textures and responses to the changing seasons. 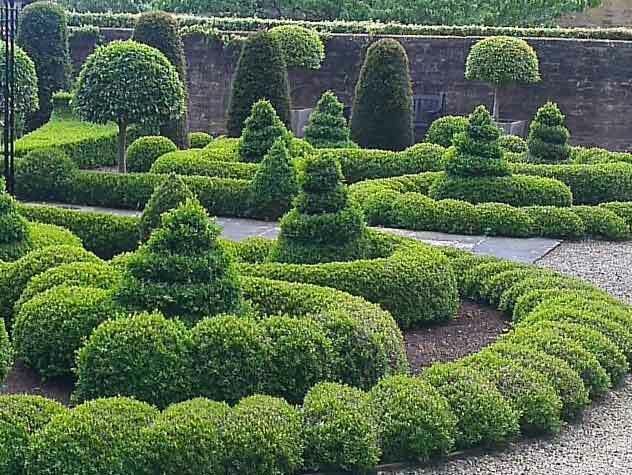 What “garden rooms” doesn’t suggest, though, is the sense of anticipation and adventure as you move through gaps in the hedges, constantly being surprised by a new vista, or the dazzling beauty of the flowers. 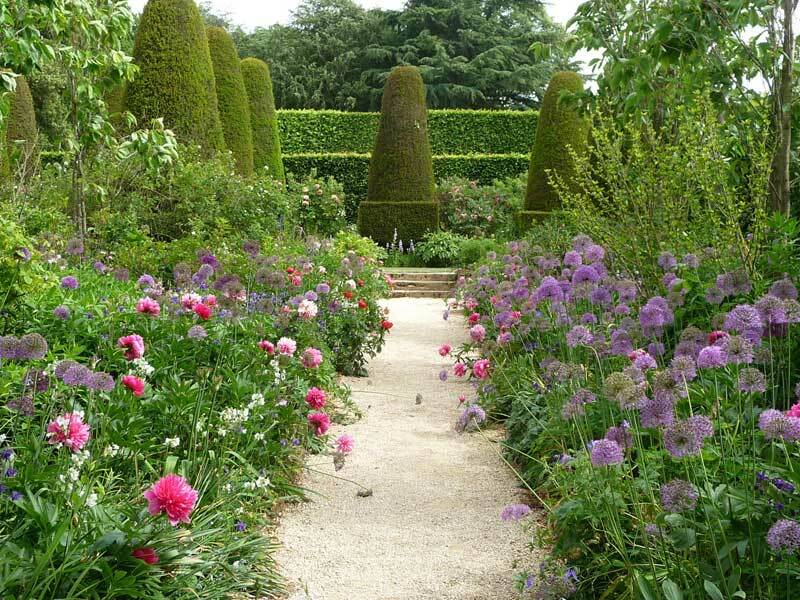 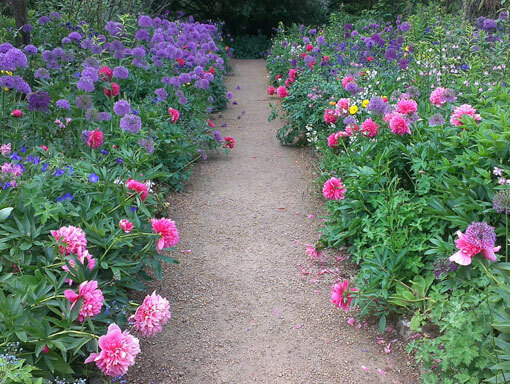 Hidcote is at the north west corner of the Cotswolds, an area that has many beautiful gardens. It is also renowned for the loveliness of the landscape and villages. 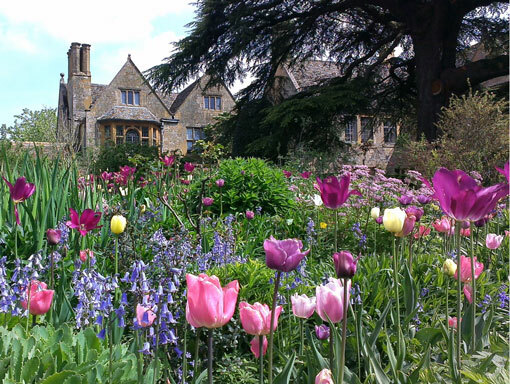 Hidcote is open until quite late during the summer months, so it is possible to plan quite an ambitious day – or simply enjoy the garden at Hidcote and its close neighbour Kiftsgate Court. 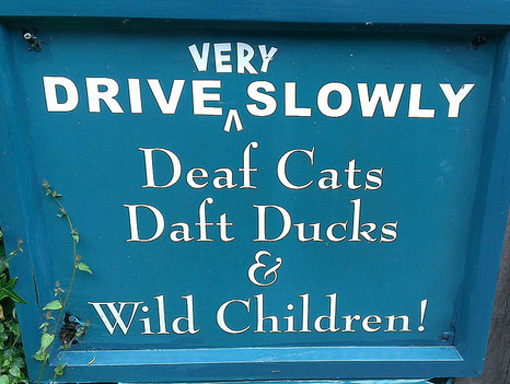 All tours are by car, for up to 6 people, with your own private driver-guide. 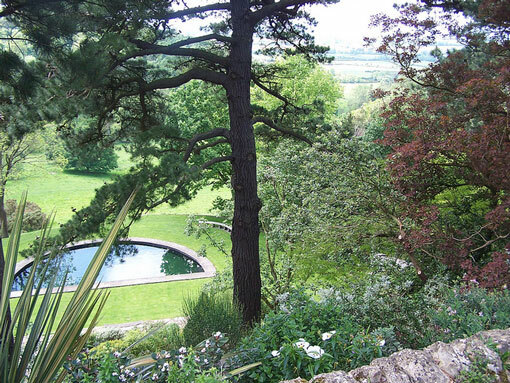 Tour prices from £695. A tour to introduce you to the Cotswold landscape and some of the loveliest villages, before going on to Hidcote Manor garden. 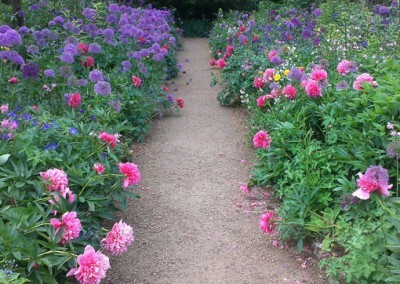 Just down the hill from Hidcote, the garden at Kiftsgate Court was created by three generations of women and is the perfect partner to Hidcote – quite different but every bit as lovely. 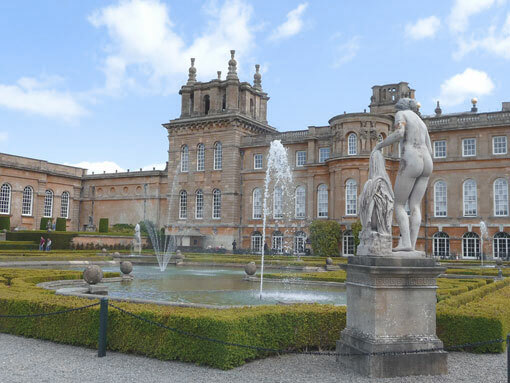 Blenheim Palace is surrounded by parkland by the great 18th century landscape designer “Capability” Brown, and by lovely 20th century water terraces, a rose garden and a woodland garden. 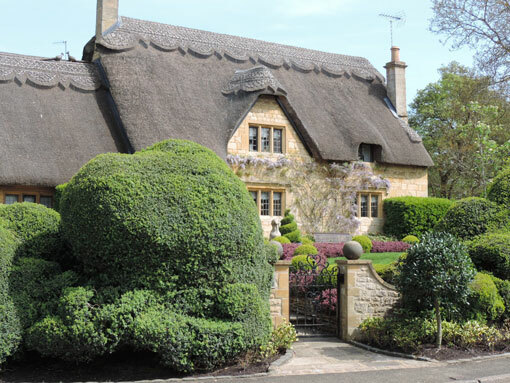 Lovely gardens in the village of Bourton on the Hill; my favourite feature is the topiary. 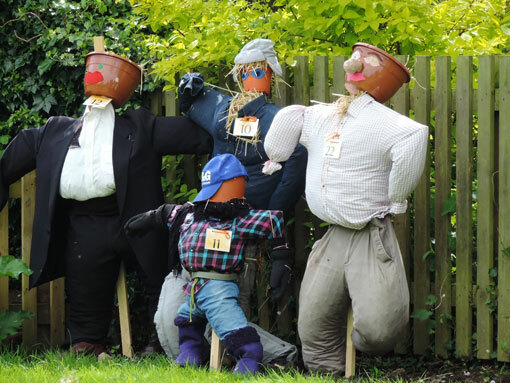 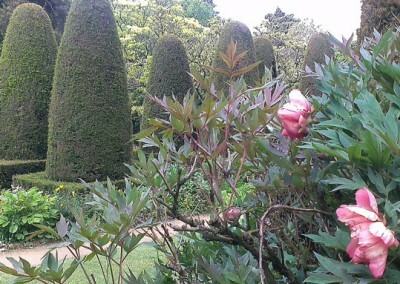 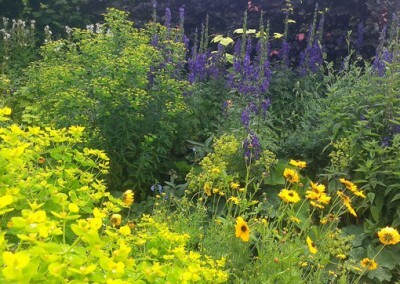 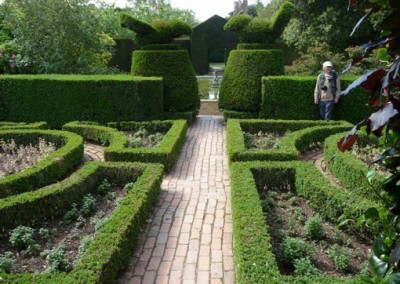 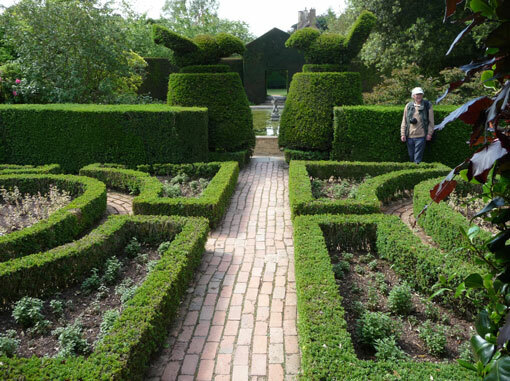 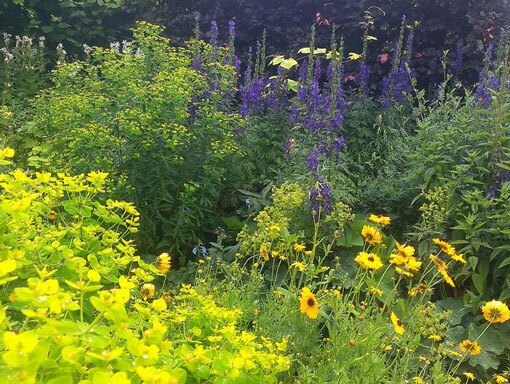 A delightfully whimsical, privately-owned garden not too far from Hidcote. 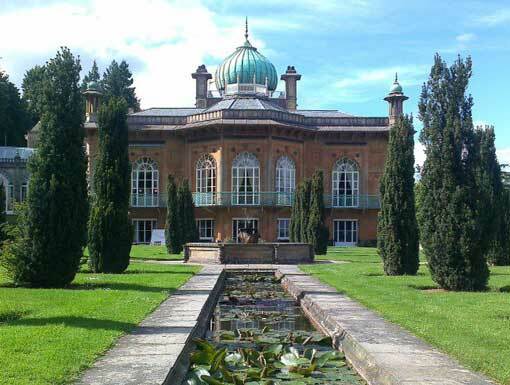 A house and gardens that once belonged to employees of the East India Company – the influence is obvious. 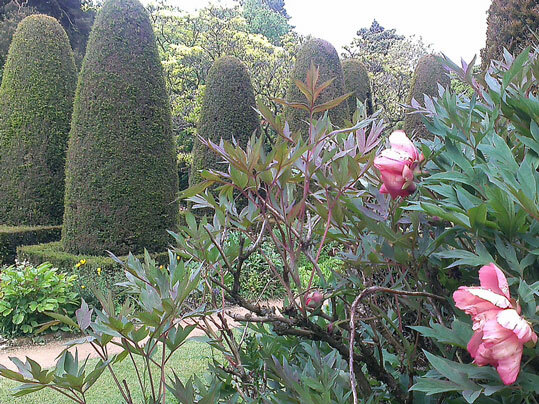 Two great English garden designers worked here – Humphrey Repton designed the original park, and Graham Stuart Thomas helped recent owners to restore the gardens.